What are Google My Business & Google Posts? Google My Business (GMB) is an online platform allows business owners to manage their presence on Google Maps and Google search results. Through this platform, business owners can make posts directly to Google search results and business showcase on Google Maps. 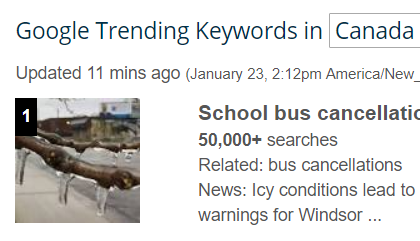 Those posts are widely known as Google Posts. With Google Posts, you can keep your clients updated about your news and announcements without getting them visit your website and social media pages. You may already have Facebook, Twitter, LinkedIn, Instagram and Google+ pages, however, to really make the most of these social networks, you need to integrate them with your SEO strategy and promotional campaigns on Google. When we launch a campaign and auto post to Google My Business and all of your social platforms, an automated scheduling tool becomes a must-have tool for online marketers. We provide such a robust automated scheduler and auto-posting software that creates automatic posts and promote them on Google My Business locations based on your preferences. It will help you develop a routine posting schedule and create promotional posts consistently with all of your online presence for your business. The Robot will load the posts from your website, Shopify and WordPress blog, and post the content to your Google locations automatically. The most wonderful part of the tool is that you do not need to download or install anything. It will save you a lot of time that you would spend sitting in front of your desktop to write posts and post on Google My Business account from your website and WordPress. Start to post from WordPress (or any RSS feed on your website) to Google automatically. With a few clicks, your Google posts and whole social media gamut will be handled automatically. You can also set the time you want your Google posts to get published. You can even choose the number of posts you want to publish each day. Besides posting automatically from your websites to Google My Business, the Robot can also post your promotional content from your Facebook pages, Instagram accounts, Twitter tweets, Pinterest Pinboards, and other social media channels. Your business might have been using Google and social media in some capacity. There are tips you can follow to improve your chances of success on online marketing, and keeping the online presence of your business consistent is one of the things that digital marketing experts recommend you to do. The more helpful your promotional content is, the more word will spread across the various social media platforms. Depending on the feedback from your clients, you can adjust your strategies going forward, making your online marketing efforts better. Finding viral keywords and content is challenging these days because all of your competitors want to enter the same arena. 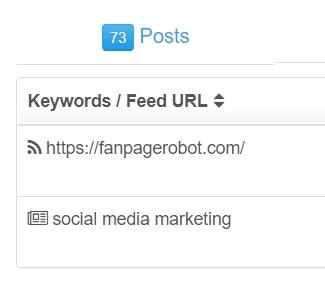 A powerful feature of Fan Page Robot is that it can generate the keywords and hashtags of your own choice based on your content. Not only this, this Google My Business scheduler and autoposter allows you to search millions of royal-free HD images. 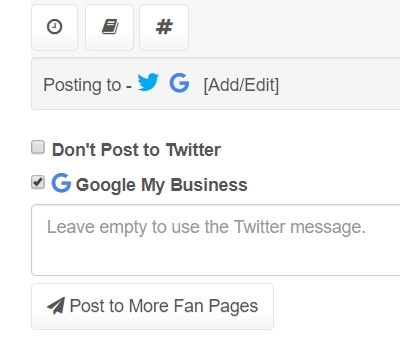 You can use them with your Google posts, schedule a time and auto post to your GMB account. 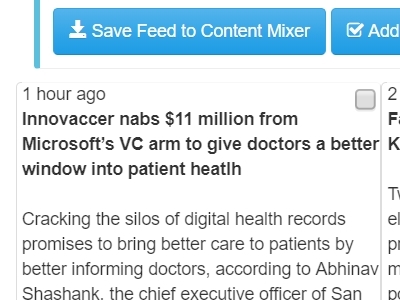 Just click on save the search so that you can efficiently rerun the search and this will automatically post content from a social account, website, WordPress blog, etc.